It seems like almost any website we open for the first time will show the all-too-annoying “Show notification” request. 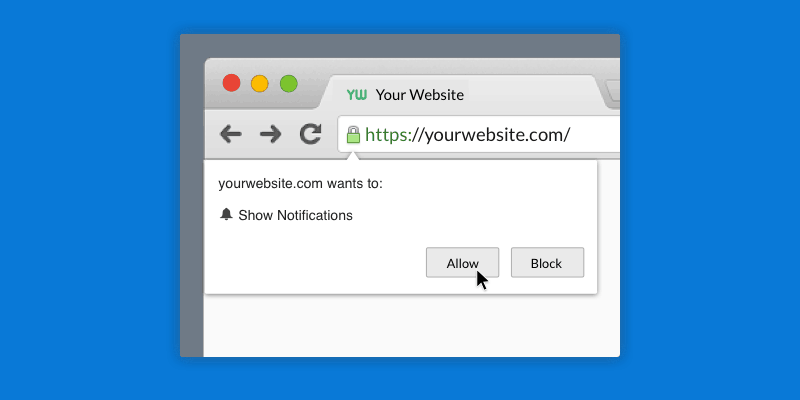 If you’re tired of clicking the “Block” button all the time you can simply disable website “Show notifications” request in Chrome and never see these pop-ups again. Sure, after clicking the “Block” button over and over, it can become a habit but for some, it’s still annoying. If you do allow notifications from a website, they will occasionally let you know about new content they’re posting. Obviously, most of us are refusing them because there are plenty other ways to keep track of new content from your favorite websites such as newsletters and RSS feeds. Once you disable website “Show notifications” requests in Chrome, you will never see such requests being displayed on the websites you visit. It’s also worth mentioning the method described below works in Chrome regardless if you’re using it on a Mac, in Windows, or on a Linux PC. The “Ask before sending (recommended)” option is enabled by default. Below, you might also have a list of websites for which you’ve already blocked notifications. Now, you just need to toggle off the “Ask before sending (recommended)” option. It should read “Blocked” afterward. From then on, you can visit any website in Chrome without receiving any show notifications requests. If you ever change your mind and you’d like to get back the “Show notifications” requests sent by websites, it’s easy to re-enable the feature. Simply toggle on the “Blocked” option and it will change back to “Ask before sending (recommended)”. Also, you should know the list of websites you’ve previously blocked will remain unaffected so you will never see “Show notifications” requests from those websites even if you disable the global “Blocked” option.